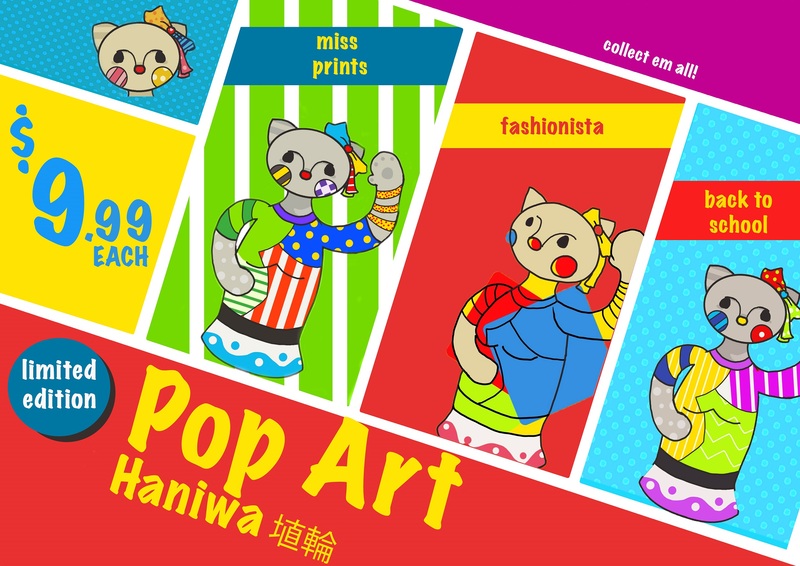 Team Haniwa – What Does The Fox Says? This project has been an interesting one for me. I was always fascinate with video games and cartoon characters and wondered how artists get their ideas from. When I learned about the Dogu and Haniwa in the first Japan lecture, I knew this will be something I want to explore further. I wasn’t aware Haniwa were used for burial until the lecture and it really adds another layer of knowledge for these Japanese icons. Upon some initial research and group discussion, our group decided to focus on Haniwa and how modern society has stripped away its meaning and what’s left was just a “cute” character without really understanding what it is suppose to embodies. This is when we decided to add Pop Art into the mix to further emphasis the commericization of these figures. 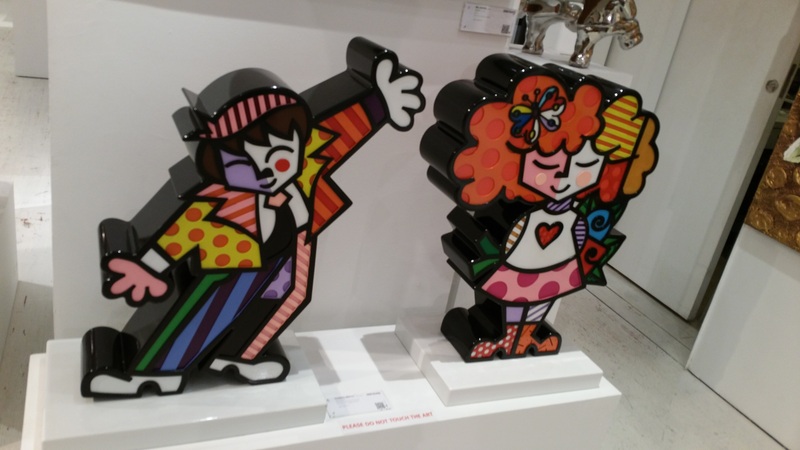 Of course since we didn’t learn about Pop Art in this course, I did a little more research on this topic by reading a short chapter from Daniel Horowitz’s Consuming Pleasures and took a little trip to a commercial art gallery to look at modern paintings and sculptures for inspiration. This has helped us tighten our final project by letting us know what kind of colors and style to use. 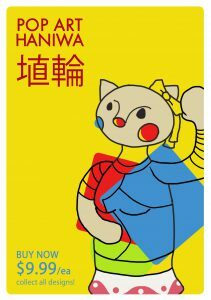 Initially we choose Marilyn Monroe due to her association with Pop Art but we changed to Hello Kitty due to her being a more universal appeal and her roots in Japan and the Hello Kitty-craze locally. 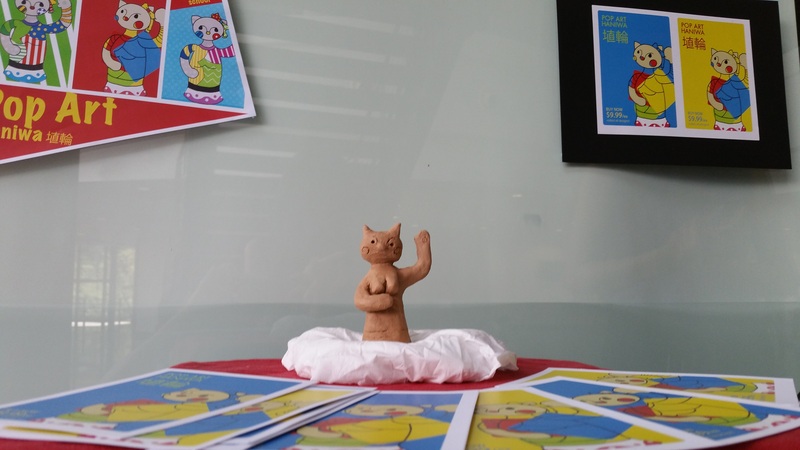 Our initial idea was to put the Hello Kitty Haniwa in a museum or gallery but Prof Sujatha commented the rational why we want to put it there and what we want to achieve. 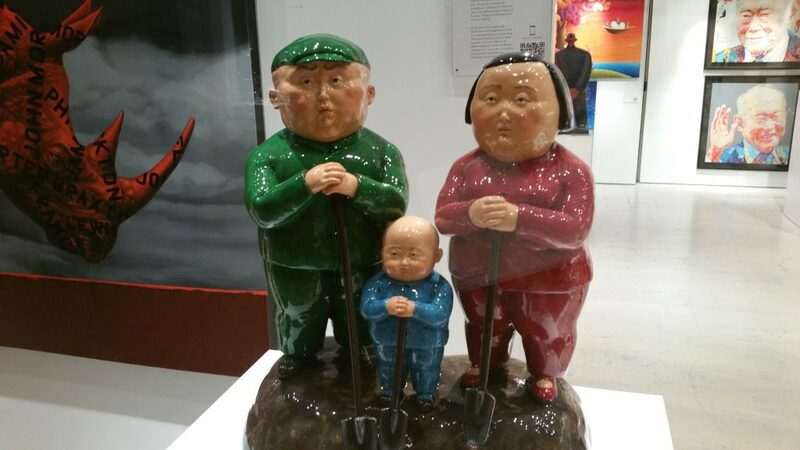 This got us thinking that perhaps a museum isn’t the best idea but instead putting inside a shop to further emphasize the commercial aspect of the modern use of Haniwa. 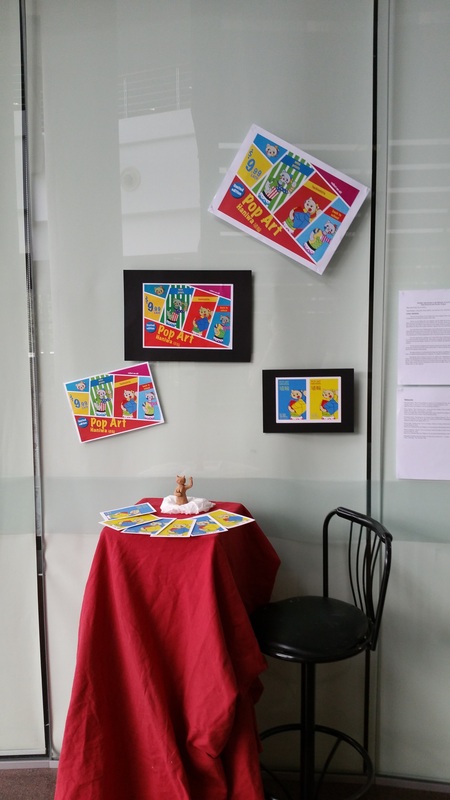 After all, art does not need to be limited to just a gallery. 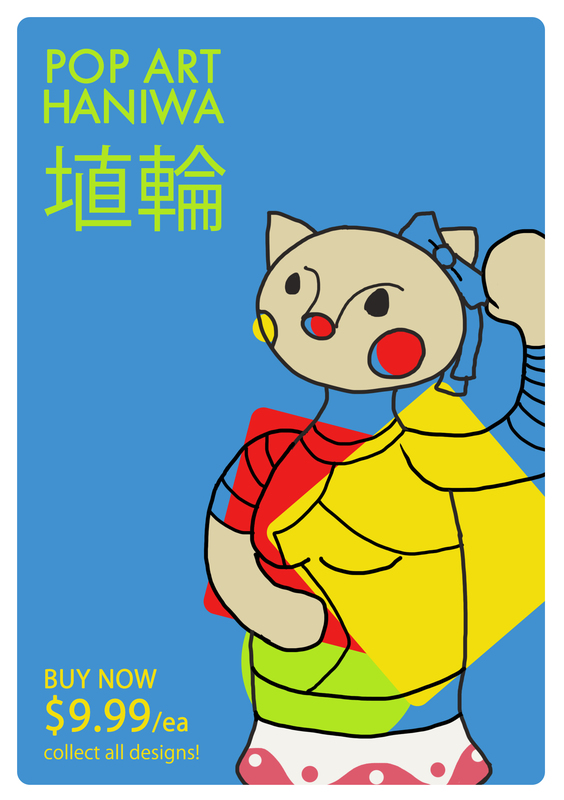 What resulted was that using our concept arts we have already done, we will make a image similar to an advertisement to promote the Pop Art Haniwa and during our presentation we pretend it is a sale pitch (similar to a product launch) complete with a prototype mini Hello Kitty Haniwa for our new toy product. 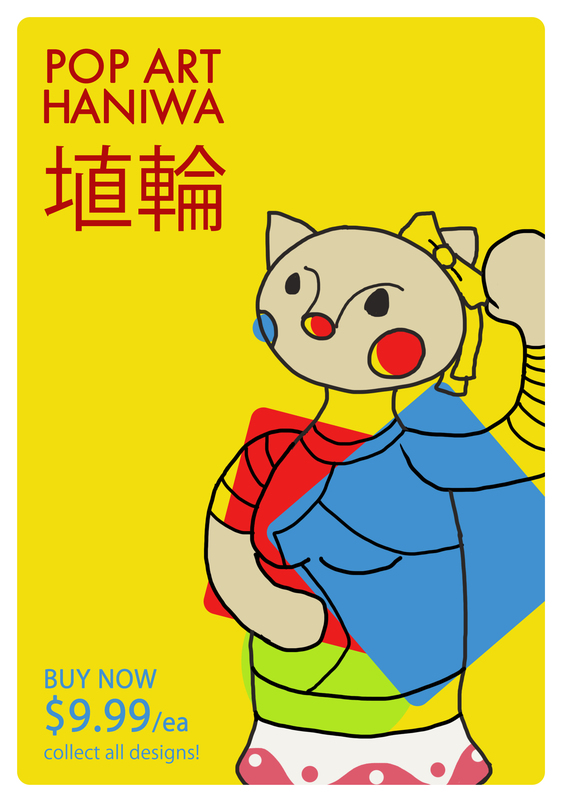 We thought that perhaps since it is a commercial product it would come in packaging and that would help people to understand more about Haniwa should they be curious.